In a business environment, using a consumer-grade internal hard drive can be devastating, particularly when the storage capacity and rotation speed is low and the need for reading, writing, and rewriting data is endless. This is why 900GB Internal hard drives were built: to deliver best-in-class performance at maximum capacity and minimum power. There is nothing more exhausting than waiting endlessly for data to be copied between servers. 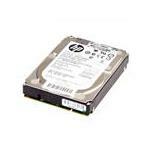 These 900GB Enterprise HDDs expedite the process in all types of rugged environments. All drives are tested for endurance, reliability and performance before being shipped to the users. Whether your servers are engaged in financial transactions, controlling email infrastructure, or data archival, 900GB Internal HDD is the perfect choice for all activities. 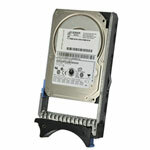 At Memory4less.com, you can choose 900GB internal hard drives from a wide variety available for business and personal use. Use the filters available on the screen to choose a 900GB hard drive that best serves your needs.